The Singapore-based cryptocurrency exchange Bithumb looks set to become the first platform listed on the US stock exchange. At the present time, it is the largest crypto exchanges by reported volume, with an estimated $1.4 billion daily volume according to coinmarketcap.com. The move was announced on Tuesday by Blockchain industries, an investment firm focused on the crypto sphere which happens to be traded on the US OTC markets. The process by which the crypto exchange Bithumb will become the first publicly-traded exchange is known as a “reverse merger deal”. For those of you not familiar with the procedure, a reverse merger deal is also known as a reverse initial public offering (not an Initial Coin Offering), in which a private company buys a public company. This procedure helps the private company to bypass the entire lengthy process of review necessary in order to become public. According to the news released yesterday, Blockchain Industries and BTHMB Holdings – the holding company of Bithumb, have signed a Letter of Intent Agreement for the reverse merger deal. Both companies want the process to be done by March 1st, 2019. By merging with BTHMB/BXA, we expect to bring more advanced technology and better compliance practices into the public marketplace via a consolidated focus. Blockchain-based companies continued to expand at a global scale, despite a sharp drop in cryptocurrency value. We’ve seen recently how the Vakt platform, a popular blockchain platform from the industry, managed to attract several big players. Despite the flaws we seen in cryptocurrencies, the blockchain offers some very important advantages, contributing to the increase in productivity, which one of the main objectives of any company. 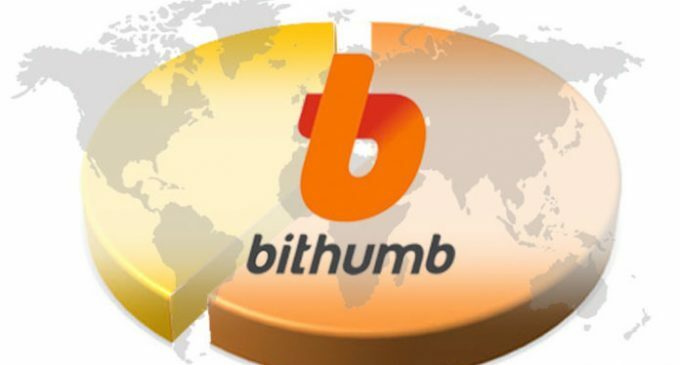 Getting back to the Bithumb merger deal, the exchange platform also aims to expand its activity in the United States. Judging by the numbers, the US markets is far greater than Singapore, but we must also take into account the regulatory environment, with an SEC which became more aggressive since last year, when it started to take actions against uncompliant blockchain-based companies. A similar merger move happened in Canada last year when a crypto merchant bank called Galaxy Digital merged with Bradmer Pharmaceuticals, a shell company, and it is now listed on the Canadian public market. More similar moves will bring blockchain companies closer to institutional investors seeking alternative investments in a period when the stock market performance is very uncertain.